Today's post is a randomness and a free music post. To explain how this happened, let me start by saying I had never heard of either of these artists. I was looking for Snow Patrol on bandcamp, and no I did not find a page pertaining to them. What I found instead was a new EP by an Australian indie rock outfit called Skypilot. The cover art was interesting and I had time, so I decided to listen to a couple of tracks. 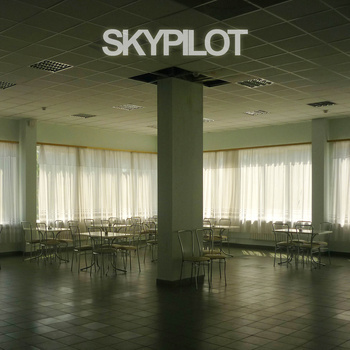 Skypilot crafts a similar sound to Snow Patrol with a more subtle approach to atmospheres and catchy melodies. If you are familiar with the music of Snow Patrol, this requires no further explanation. Skypilot adds atmospheric production and some electronic nuances to their indie rock sound, but stays shy of full-blown electronica sounds. Much of the music is guitar and drum driven, owing to the somewhat more mainstream style of sound the band produces. I still count myself in the 'interested' category to this band, as well as Snow Patrol. I have not heard everything they have done, but if Skypilot's debut EP is indicative of how they will sound, I will definitely be looking for their next release. Check out the full stream from the Skypilot bandcamp page below. This is a 'name your price' download with no minimum. Skypilot asks you to donate $7.00 or so if you can, but it is not mandatory. After browsing Skypilot's page, I discovered that Skypilot's singer is involved in another project called Arundel. Arundel does not really deliver a similar product to Skypilot. Their new EP is a very diverse and eclectic listening experience. The cover art for this EP was the first thing that caught my eye. Arundel's sound ranges, depending on what track you are listening to, from simple harmonic ambiance to funky indie pop, to groovy nu-jazz and trip hop. This is an interesting listen, because the first track does not prepare you for what the second track will bring, nor does the third track pose any similarities to the second. Some of these tracks are duet-styled pop and soul singing that is exceptionally well-rounded. It is something you have to hear to believe. Arundel also hopes you will donate some cash to their dream of making it big, but they are totally fine should you decide not to offer a small donation. PayPal and I hate each other, so I was not able to contribute. Check out the bandcamp stream of Arundel's new EP below. Tomorrow I will be back to my top 12 albums of 2012 with three more fantastic releases in numbers 6-4. Thanks for reading and enjoy! !